It’s hard to believe that less than two years ago Orlando had the highestreal estate foreclosure rate in the nation. However, flash forward to today and the city is now expected to reach some of the greatest real estate gains in the United States! Orlando’s booming economy is partially to thank for the upward trending real estate market. The city took notice during Orlando’s recession and has really started to revitalize old infrastructure and opening them up for more small businesses to move in. The influx of people flocking to the area is not only great if you’re looking to sell your current home in Orlando, but also makes it an ideal time to purchase a rental property in the area. 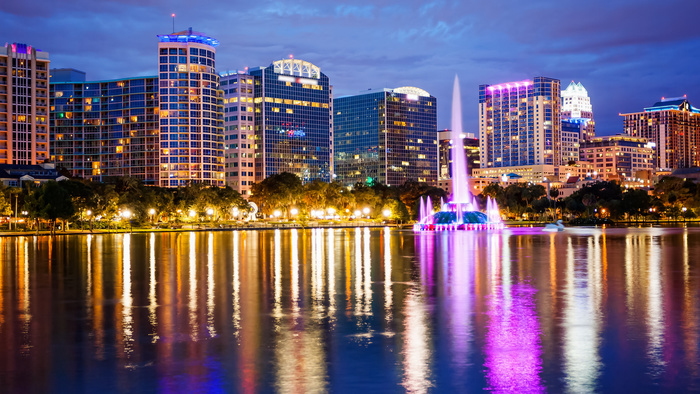 Known as the theme park capital of the world, Orlando’s rising home values, ample jobs, and income growth have elevated Orlando to one of the hottest real estate markets this year. It’s solid economic and population growth are steadily driving demand in Orlando’s metro area, while relatively cheaper home prices after recent year’s housing bust are providing affordable opportunities for homebuyers. Even with the economic and population growth in Orlando, homes have remained very affordable, especially when compared to other Florida markets. Home affordability most importantly provides greater opportunity for home buyers. Purchasing a home is a huge investment and quite possibly the biggest one you’ll make in your life. If you’re thinking about where your next move should be, you’re most likely considering a wide variety of factors such as work, family, and the beginning of a new chapter in your life. When looking for at real estate markets, one that is poised for growth is sure to prove your new home is a good investment. Orlando healthy job growth and population inflows should continue to fuel the housing demand in Orlando, keeping sales elevated and driving further price gains this year. Proving that Orlando’s real estatemarket is still one of the hottest in the nation. Contact a real estate agent today for more information about the Orlando market.